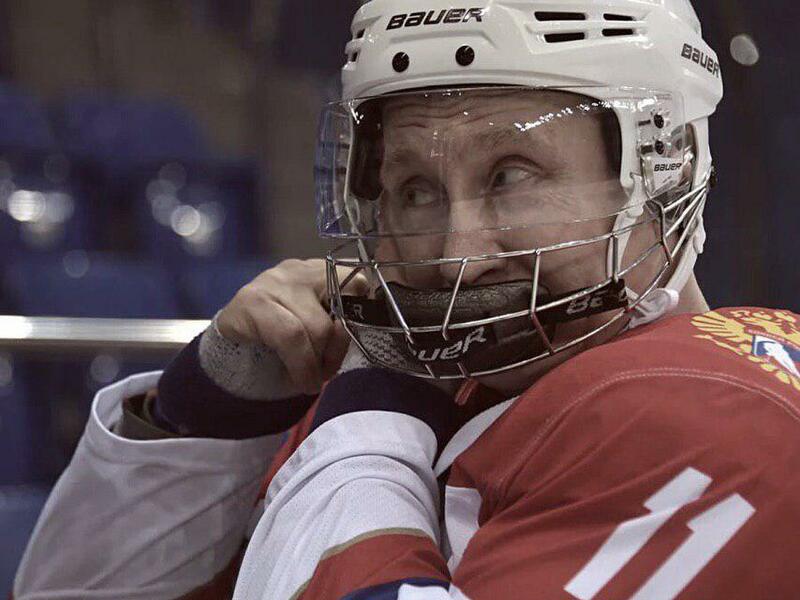 About a year ago I've seen some pics of mr. Putin playing hockey with a weird jaw protector under his half shield. Seems like it is less cumbersome than traditional Bauer combo (half shield + mask) and a more breathable than a full face shield like Concept III.The mounting points location is pretty interesting, too. There was absolutely no info on the internet that I could find about this piece of equipment. The chin cup+strap is definetely from Bauer, but seems like it was added to the jaw protector later, cause there are no such pieces in any Bauer catalog. Several weeks ago I have seen a guy in my beer league rocking the same exact piece. I asked him where did he get it, he told that his friend brought him one from his trip to Canada. He stated that this protector + half shield is much more comfortable and lighter than a combo or a full cage. Maybe some of you could provide me some info about it? Manufacturer, product name, price, sizing, etc. *if this topic doesn't belong here, please accept my apologies and move it to the appropriate subforum.